Massive stars profoundly affect their galactic environments. Churning and mixing interstellar clouds of gas and dust, stars -- most notably those upwards of tens of times the mass of our Sun -- leave their mark on the compositions and locations of future generations of stars. Dramatic evidence of this is illustrated in our neighboring galaxy, the Large Magellanic Cloud (LMC), by the featured nebula, Henize 70 (also known as N70 and DEM301). 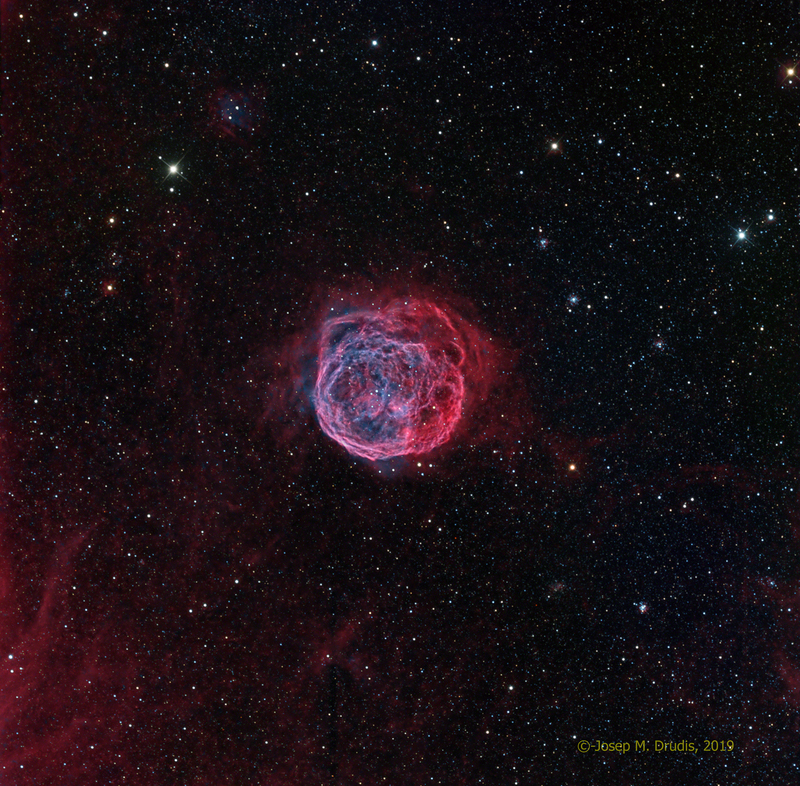 Henize 70 is actually a luminous superbubble of interstellar gas about 300 light-years in diameter, blown by winds from hot, massive stars and supernova explosions, with its interior filled with tenuous hot and expanding gas. Because superbubbles can expand through an entire galaxy, they offer humanity a chance to explore the connection between the lifecycles of stars and the evolution of galaxies.